1. Enjoy a guided foraging nature walk – Find out how New Forest people have lived off the land for centuries by using nature’s bounty. 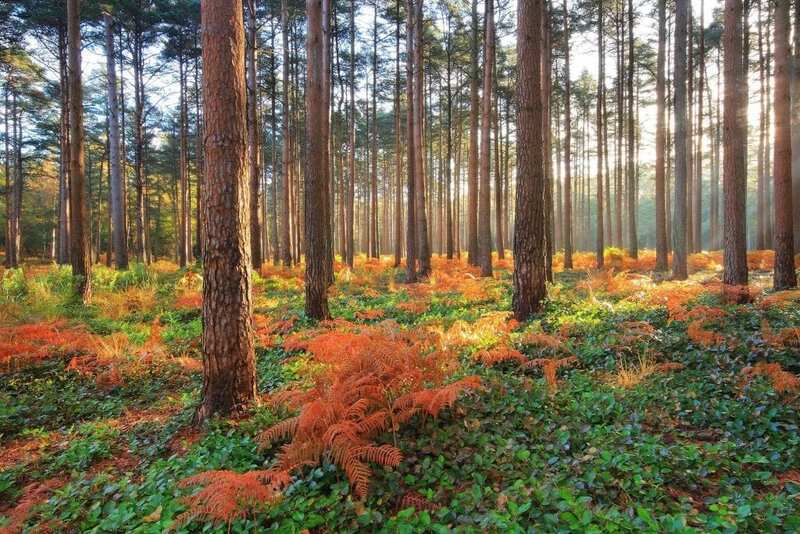 Forest born and bred expert Garry Eveleigh, who has been foraging for 50 years, is available to take small groups of guests from The Pig and Lime Wood Hotels on a tour of discovery to hidden places in the New Forest each autumn. 2. Look out for the pannage pigs – If you go down to the woods in autumn, you could be in for a pig surprise. One of the most picturesque and photogenic sights of the New Forest year is families of pigs snuffling around in the wild. They have an important job to do – eating up all the acorns which may be harmful to other forest animal inhabitants. There’s nowhere else in the UK where this happens, so make the most of seeing this ancient practice taking place. 3. A feast for foodies – A feast of seasonal food from the Forest’s abundant larder is one of the main reasons for visiting in the autumn. During New Forest Food & Drink Week which runs from October 29 to November 4, 2018, you can taste and buy the best of local New Forest produce, and see top chefs create stunning seasonal dishes. 4. 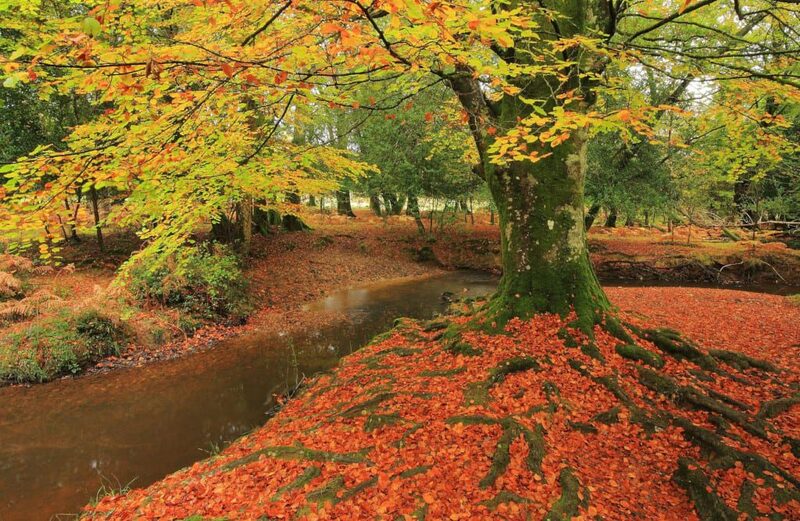 Enjoy the autumn colours – At this time of year, our Forest is positively glowing with reds, oranges, yellows and greens. Get outside and enjoy the spectacular colours of nature across our wonderful landscapes and ornamental woodlands – it’s the best free show around. The New Forest Walking Festival runs from October 13 to 28 and features dozens of guided walks led by knowledgable local experts. Or join a Fuzzaker Guided Walk – fuzzaker is the local name for the Dartford Warbler which can be spotted around the Forest’s gorse bushes. 5. Take an autumn amble along the Coast – Walking in the autumn isn’t just limited to the beautiful colours in the Forest… it’s also a great time to head to the Forest’s 40 miles of coastline for a stroll among seabirds and salt marshes. Walk along the shore, watch the waves crash and take in some invigorating sea air with great views at Lymington, Milford-on-Sea or Lepe. 6. Exbury Gardens – It’s world-famous for its spring display of rhododendrons but did you know that Exbury Gardens is also a true spectacle in autumn? Many of its most beautiful trees and shrubs are reflected in its ponds and lakes, doubling the amazing visual effect. 7. Relax the day away – Forget about the hustle and bustle of everyday life for a couple of hours with a sensational spa day. 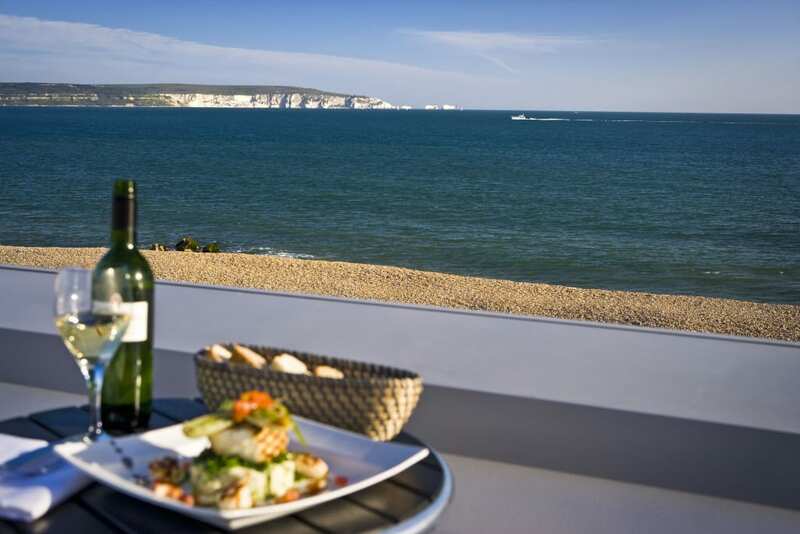 Luxury and total relaxation are on offer at a choice of several stunning venues in the New Forest. Or join in a Horse Raft experience with Sally, an expert in equine awareness who combines the flora and fauna of the Forest with mindfulness to help visitors reconnect with nature. 8. 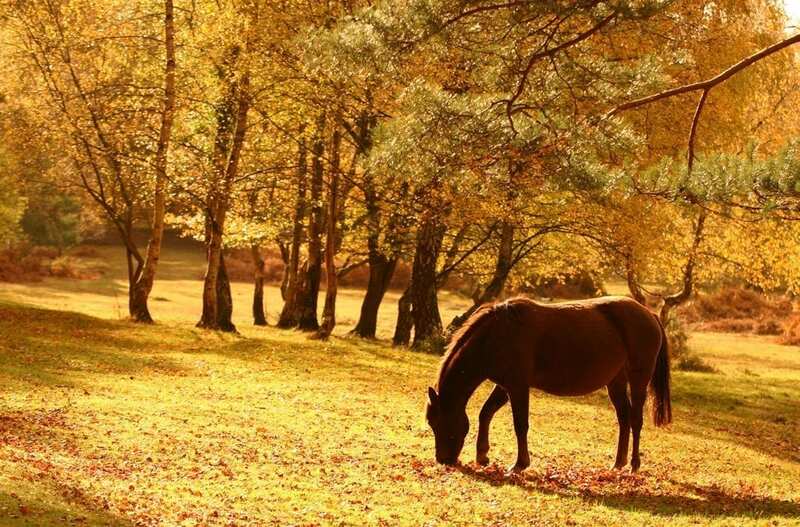 Enjoy the peace & quiet – Despite its incredible beauty, things are definitely quieter on the New Forest’s roads and tracks during the autumn months. So, make the most of getting out on two wheels – we have more than 140 miles of off-road tracks and low speed-limit roads, where you can enjoy easy cycling and see thousands of free-roaming ponies and cattle. The off-road cycle network is easily accessible by rail or road so you can bring your own bikes or hire them when you arrive – we’re just 89 minutes from London Waterloo. For more details on all of the above suggestions, visit www.thenewforest.co.uk, where you’ll also find a competition each week in conjunction with A Year in the New Forest giving the chance to win a break in this beautiful part of southern England.